He speaks quickly, dresses in black and wears trainers, as if he would like to pass unnoticed in a crowd. 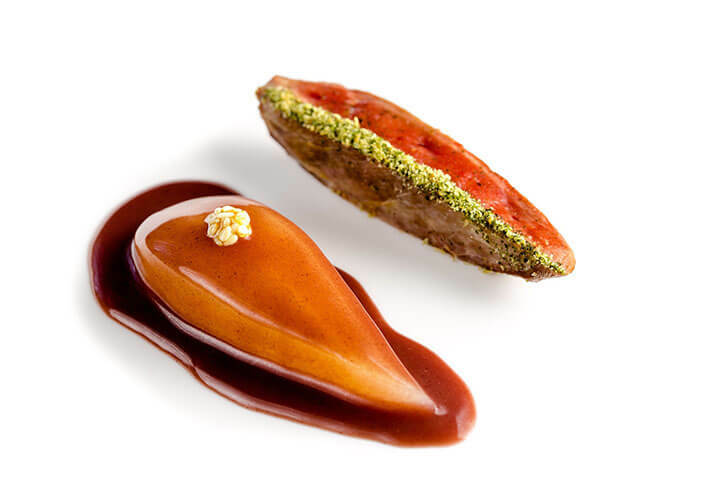 He “collects” Michelin stars and Repsol suns (four and six, respectively) among other accolades, such as “Best Pastry Chef in the World” awarded by Restaurant magazine, or “Best Cookery Book” for his publication “Los postres de El Bulli” (The desserts of El Bulli). 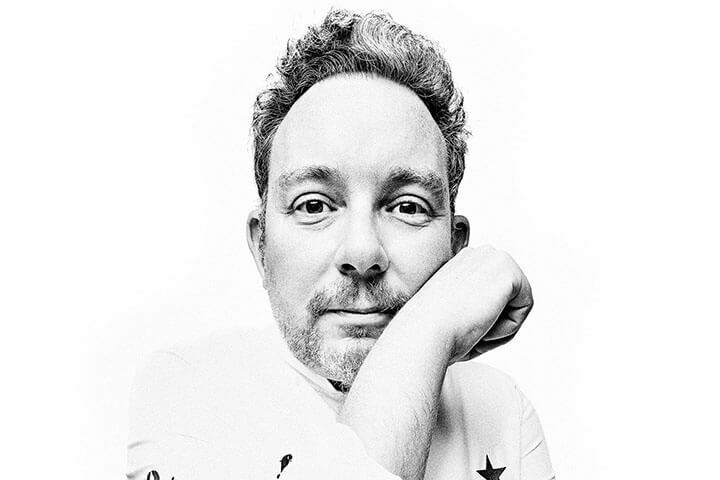 In spite of all this, Albert Adrià insists that he is “a normal bloke”. A “normal bloke” who is currently the owner of seven restaurants which, according to him, have made him realise the importance of having a good team. He spoke about this very subject in his presentation as part of the first International Gastronomic Festival in Ibiza ‘We are Face Food 2018’, organised by this publication at Agroturismo Atzaró on 9 March 2018. “If you want to have the best working in your restaurant, you have to pay for them,” he explained to an audience of 700 people. However, having discussed the subject in a little more depth with Albert Adrià (Hospitalet de Llobregat, 1969), we arrive at the conclusion that the key to having the best team is more complicated than being able to offer the best salaries: “the staff must be well organised and managed, but also you need to have a strong bond with each and every member of the team: I’m just a normal bloke, and the people who work with me are like me. I’ve had people in the team who were great professionals, but I had no bond with them, and so the working relationship was not successful. I always say that the team makes me and I make the team: they are younger but I have more experience, and in that sense, we grow and we make the restaurants grow,” he adds. One of the most complex aspects in the management of restaurant staff is the relationship between the kitchen and the dining room, but Albert Adrià seems to have thought it through: “as a chef, I have realised that the dining room takes precedence over the kitchen. It goes way beyond the simple fact that the waiters act as intermediaries between the kitchen and the customer. You have to create a single team, and there must be a fluid dialogue between both elements. Great progress has been made in recent years, although I feel that the dining room still suffers a professional disadvantage, as conditions for waiters are far from ideal. In a way, nobody goes on working for long as a waiter, apart from a few who have the profession in their blood. I believe that waiters, who do a very difficult job, should have a financial incentive for the present and for the future,” he explained. As a chef, I have realised that the dining room takes precedence over the kitchen. He claims that he never thinks about the future: “the only thing that matters to me is what I can do now”. The present for him is largely taken up by Heart Ibiza, “one of the greatest professional challenges, but also the thing that brings the most satisfaction”. And if he has learnt anything from three seasons of running Heart (a project combining art, music and cuisine under one roof), it is another of the keys to running a successful team: “maintaining a constant, fluid dialogue”. It is worth remembering that the Heart Ibiza team is made up of over 200 people from disciplines as diverse as entertainment and gastronomy. “This year, Heart will surprise you. We have done all the work and we have the project fully conceptualised”. The chef’s career at Heart has not exactly been a bed of roses. As he himself has acknowledged on more than one occasion, a long transition and apprenticeship period was needed, in order to get to know the idiosyncrasies of the island and to adapt to its rhythm. 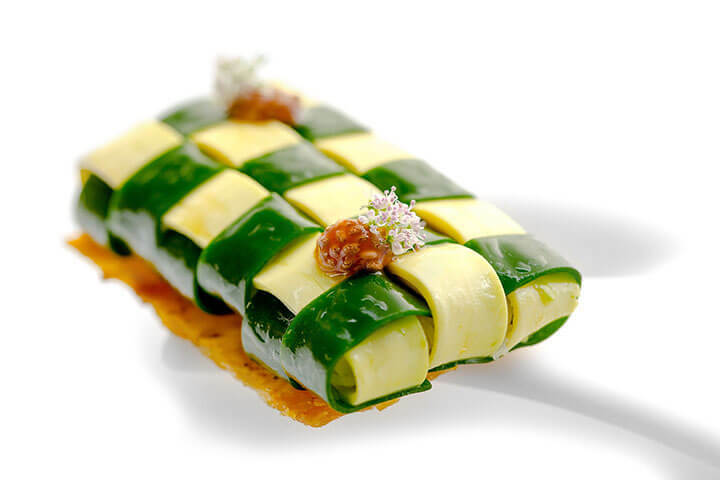 Albert Adrià admits that when Heart opened its doors four summers ago, “I had no clue what I was getting myself into”. Thanks to hard work and the perseverance of the team, “a year later we grew into maturity and last summer was the consecration,” he declares. How does someone who runs seven restaurants and spends too much time on planes make room for family life too? The younger Adrià brother is even modest when talking about his personal life: “I do it just like any other chef on the island or elsewhere in the world. A chef marries his job and a way of life. I travel a lot and my wife has spent 25 years putting up with it, but at the same time enjoying it, because everything we’ve achieved has made us happy. It is obvious that my son has a strange father. At his school they know, and they help us: I don’t see my son during the week, but the days I do spend with him are sacred and the quality of the time we do spend together is very good. I’d like to be with him every day, and so now I’m taking my foot off the accelerator, and trying to arrive home in time to kiss him goodnight,” he says.